In Lucius, Two Singers Find An Arresting Harmony The New York band's sound veers from girl-group pop to sunbaked psychedelia. NPR's Arun Rath speaks with singers Holly Laessig and Jess Wolfe, whose entwined vocals are what make the group stand out. Lucius' new album, Wildewoman, is out now. Sometimes, when two voices come together, the result can be arresting. That's what Holly Laessig and Jess Wolfe discovered when they met at the Berklee College of Music in Boston and struck up the partnership that would become Lucius. The band is a quintet, with Laessig and Wolfe's voices at the center — and the music they make together can sound like anything from 1960's girl groups to sunbaked psychedelia to the hangover that comes after after a heavy-drinking country song. 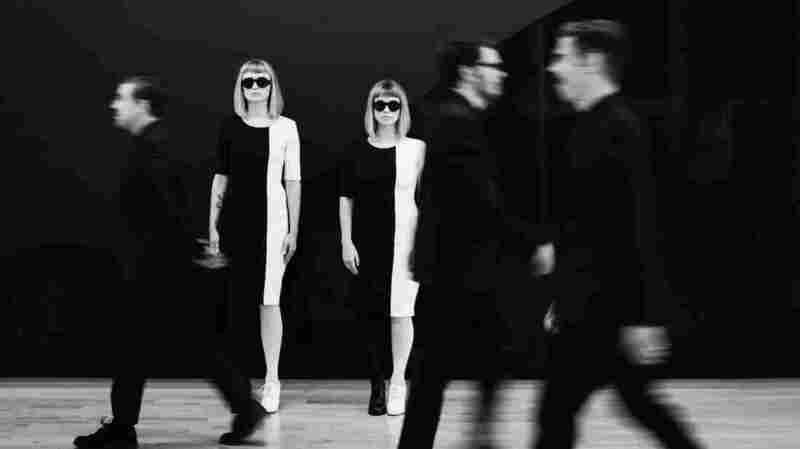 Lucius has just released its full-length debut, Wildewoman, and Laessig and Wolfe joined NPR's Arun Rath to talk about it. Hear their conversation at the audio link.